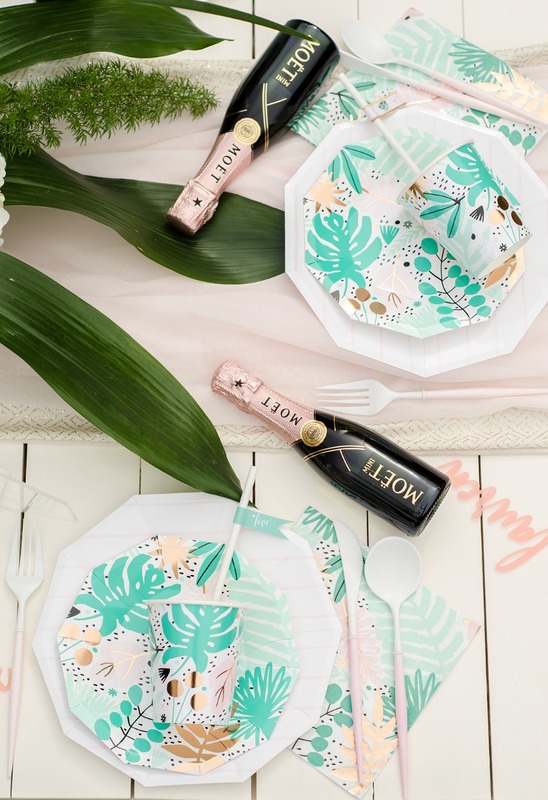 Wishing you could take you and your gal pals to a lush and warm destination for your bridal shower? 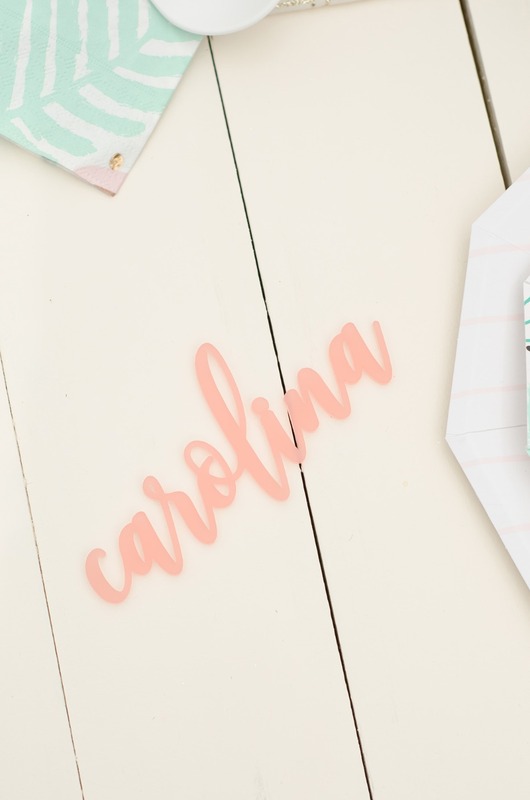 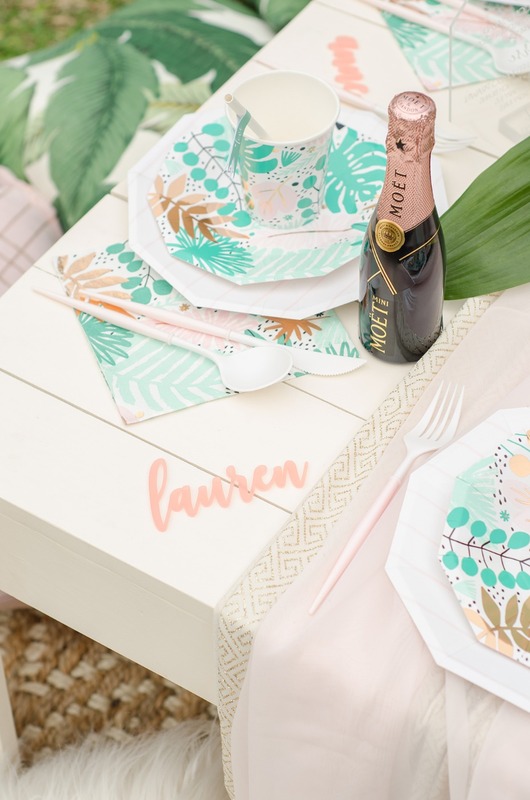 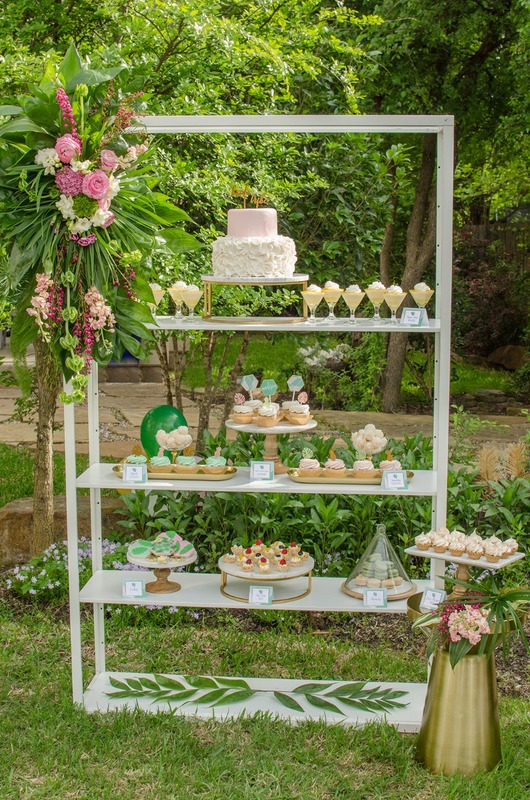 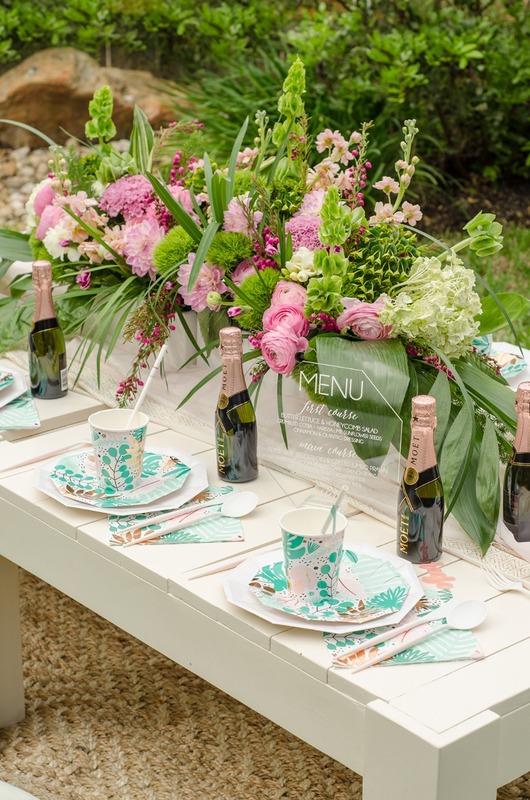 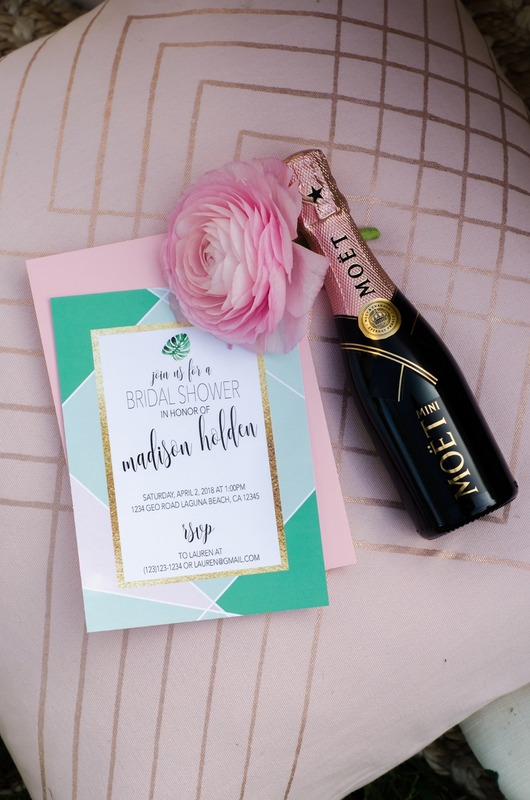 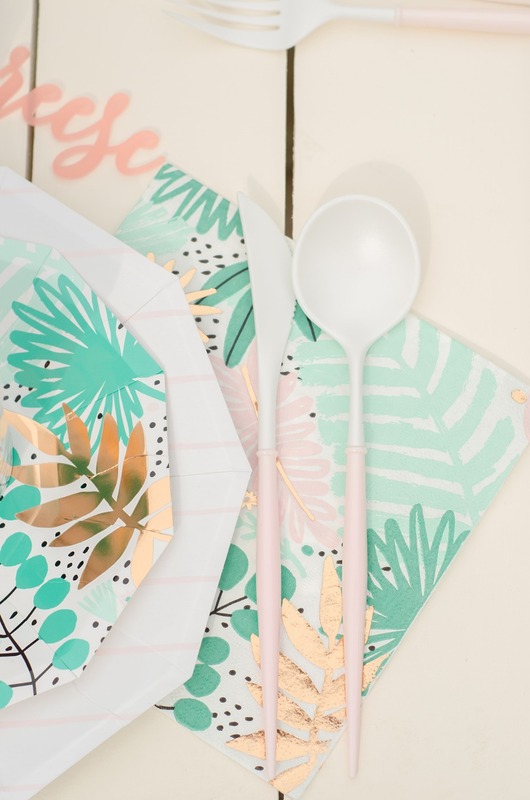 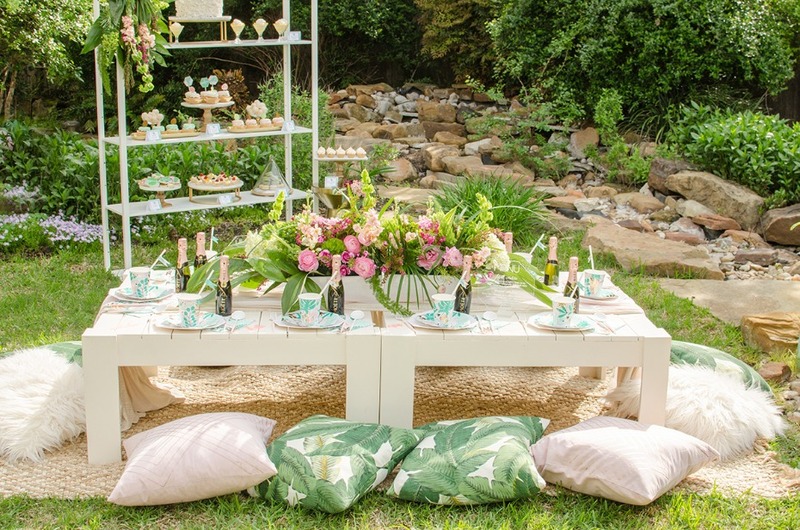 Well if this is something that is out of your budget (and we totally understand why) we have teamed up with the talented MINT Event Design to bring you these fantastic tropical paradise bridal shower ideas that will work no matter where you might be! 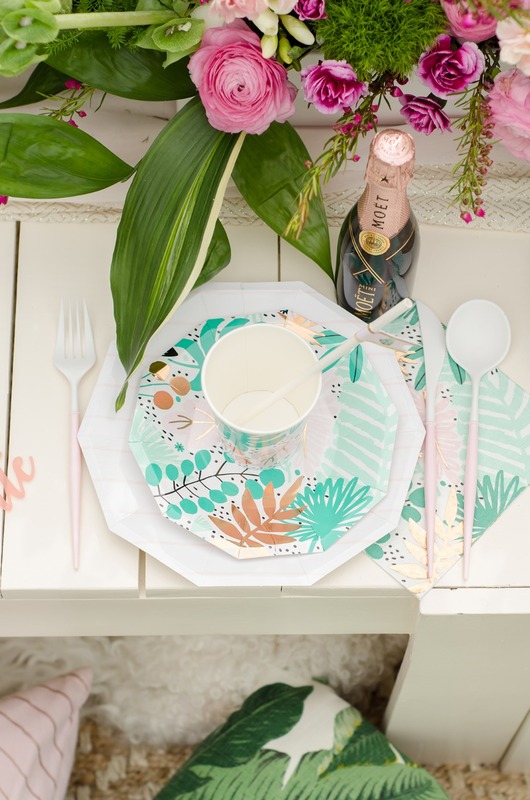 You'll find some steal worthy table decor ideas, plus a drink bar we wish was set up at our office all summer long! 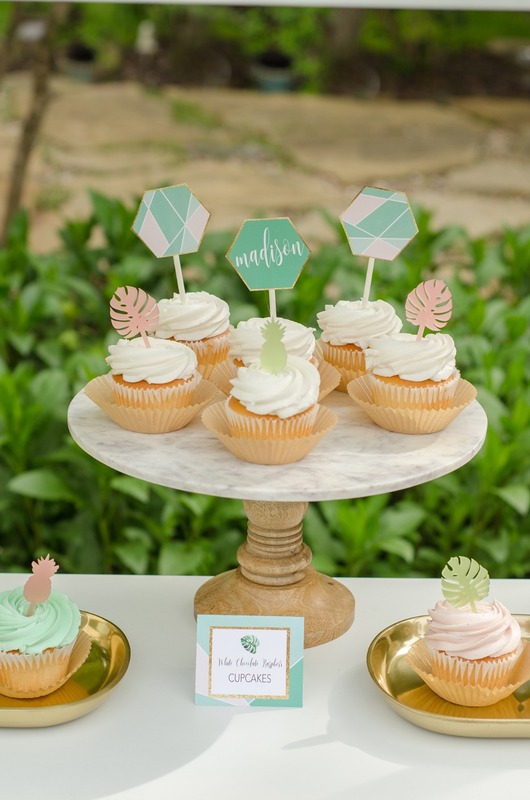 Oh and don't forget to check out the full gallery for even more ideas thanks to the photos captured by Candi Noble Photography. 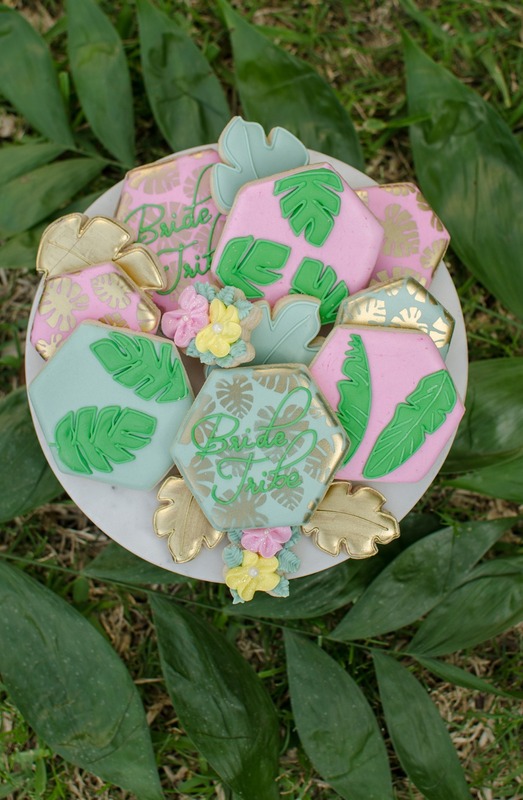 I had the pleasure to style this Tropical Bridal Shower in collaboration with Black Twine! 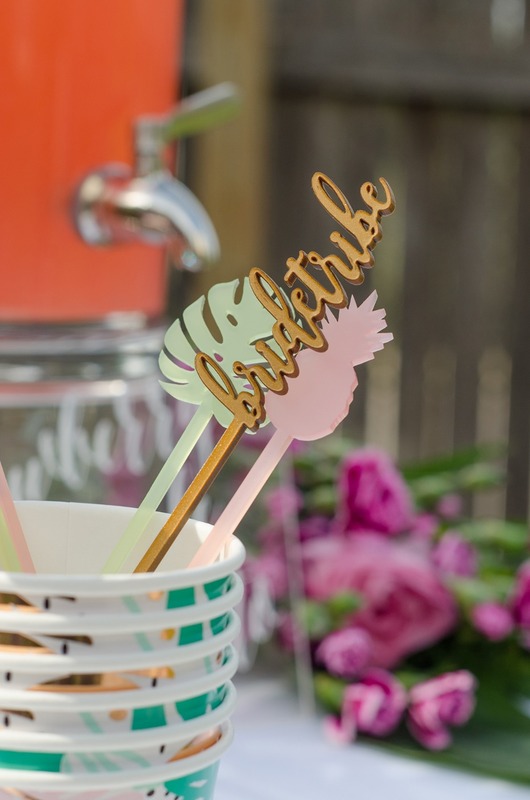 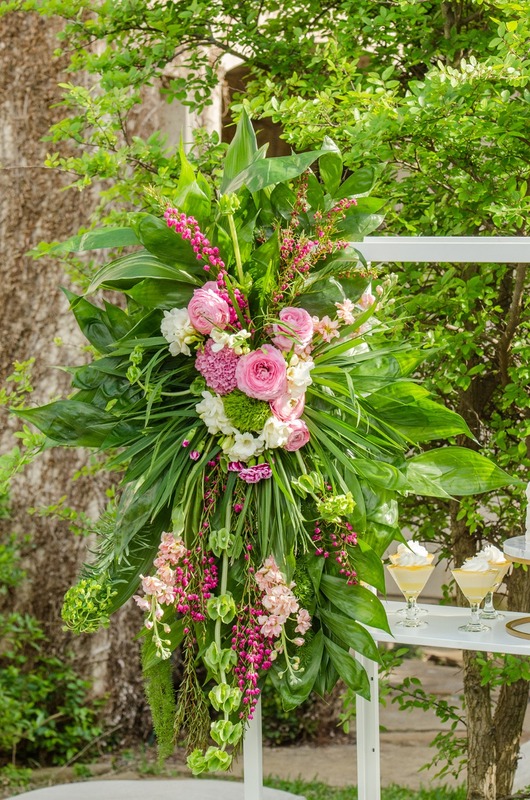 The inspiration behind this Bride Tribe shower was Daydream Society’s sunny, fun Tropicale collection. 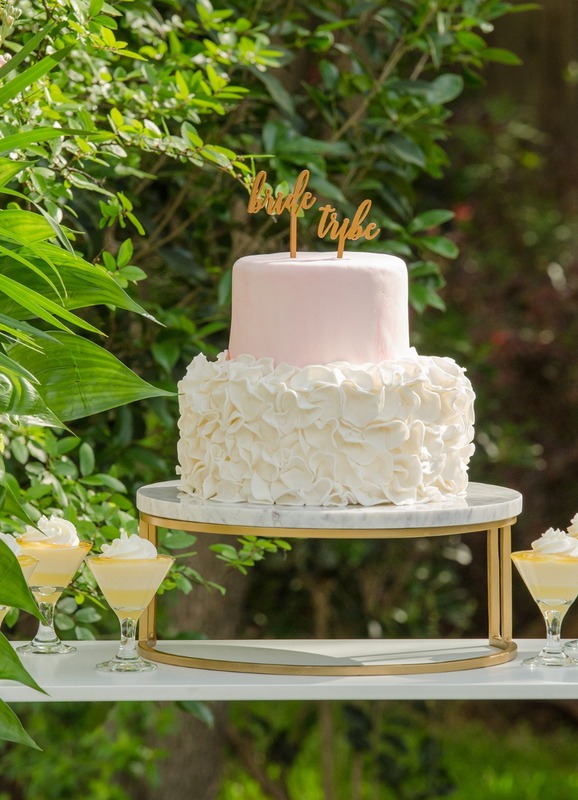 I had a design vision to style a lush retreat for the bride-to-be with tropical florals, tropical fruit inspired sweets, and a casual, fun table set up with floor pillows and greenery all around. 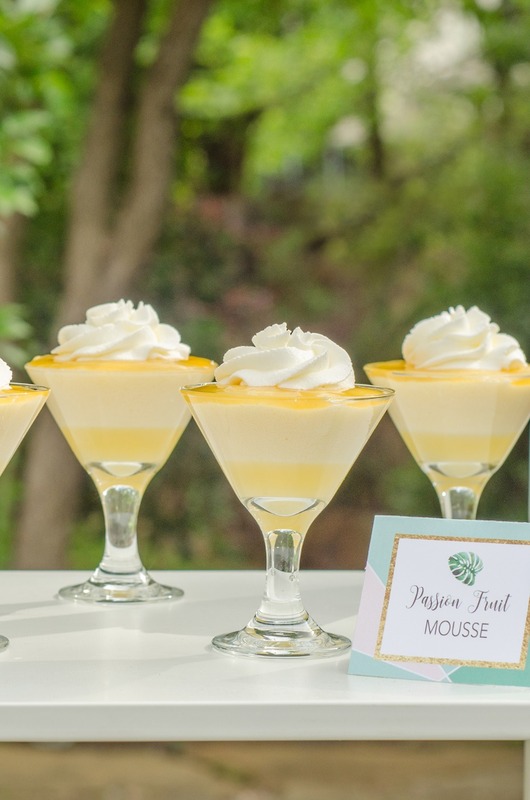 I incorporated fresh, fruit-forward desserts including the passion fruit mousse in mini martini glasses, the pistachio and strawberry cupcakes, and the mini fruit tarts. 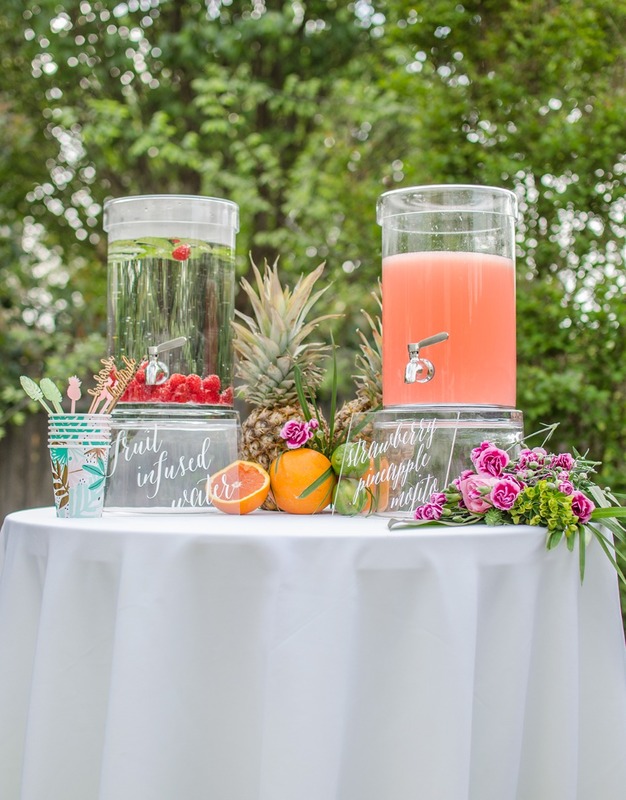 The drinks also provided the perfect summer vibes for the bride tribe, including fruit infused water and strawberry pineapple mojitos! 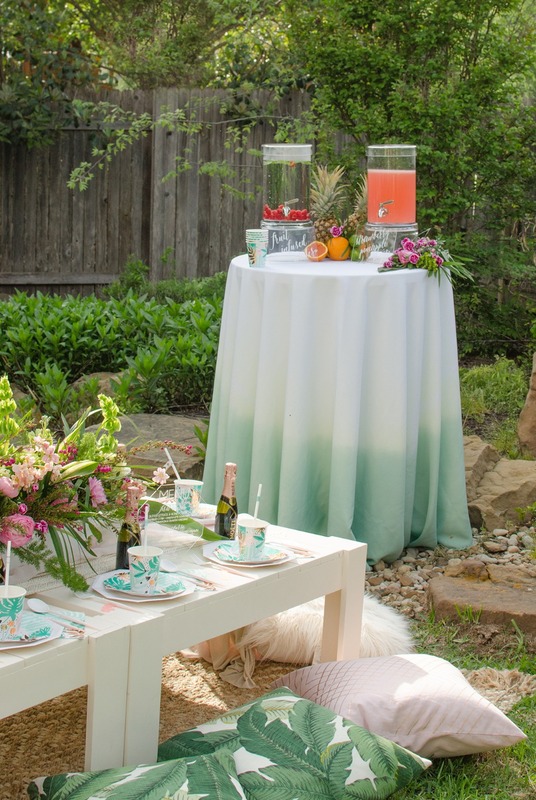 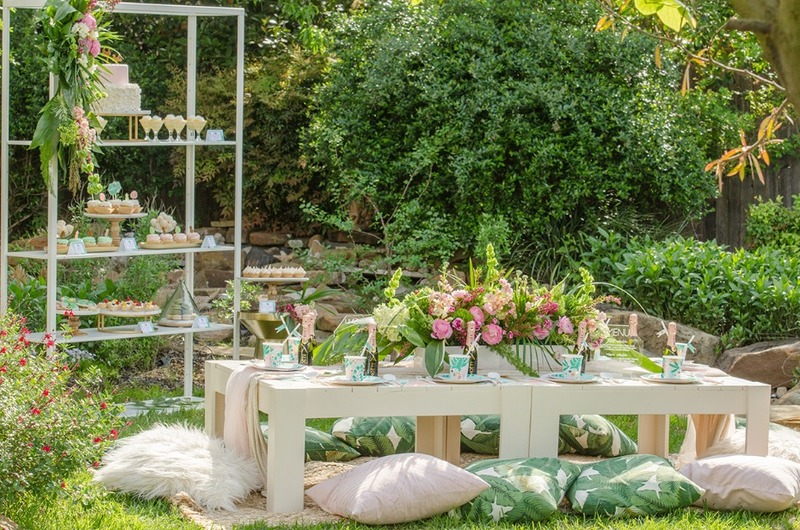 With summer around the corner, this soiree provides the perfect outdoor ambiance to bond and make memories with the bride-to-be before her big day. 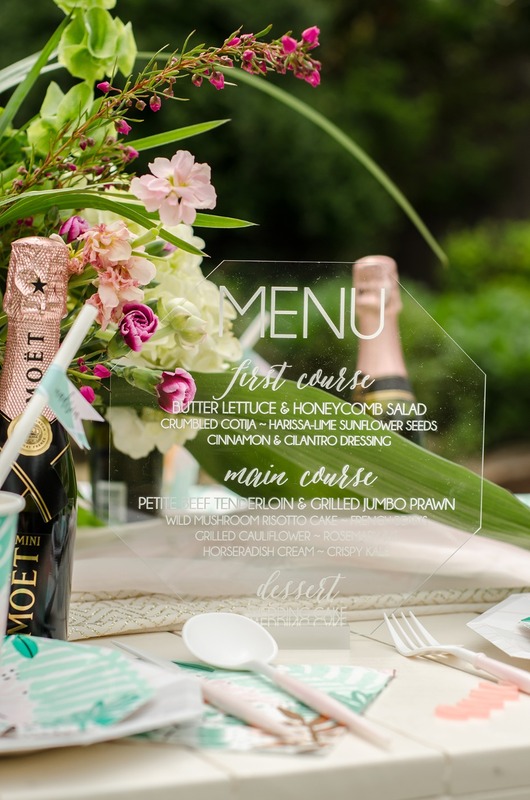 Acrylic Signs and Menus Paper and Pine Co.